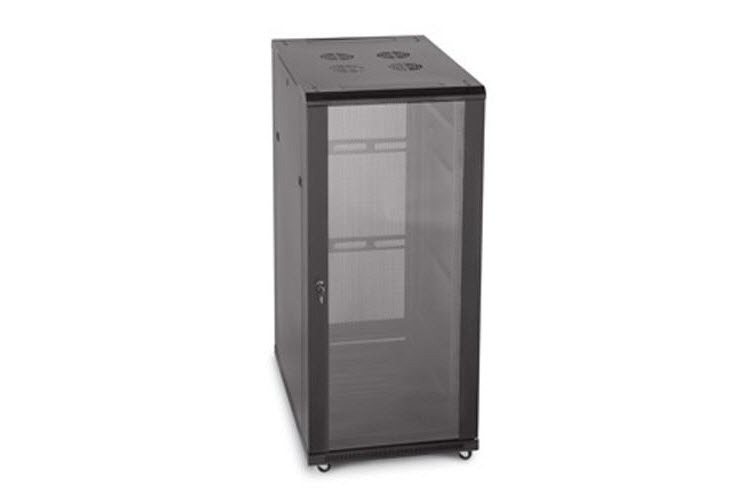 27U 19" cabinet with locking front glass and vented rear doors. Cabinet comes with removable locking side panels, two sets of fully adjustable rails, casters, levelers, and a maximum weight capacity of 1300 pounds. Complimented with a shatterproof glass door and vented rear door, this cabinet is perfect for low heat applications such as switching banks, telephony, AV equipment and so much more. 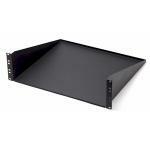 Cutouts for an optional fan assembly and removable cable slots add versatility to this full featured cabinet. Maximum weight capacity: 1300 lbs. Note: Mounting hardware not included. Cage nuts and screws may be purchased as an option. This item is too heavy to qualify for FREE Shipping. It looks like we can typically have this product (part number 3100-3-001-27) ordered and ready to ship in about 2 days based on the information we have in our system. We are pretty good about keeping accurate info in our system as that helps us avoid mistakes, service our customers faster, and saves us time. In other words, this estimation is a pretty reliable one. HOWEVER, things do go sideways in the world we live in so we can't guarantee anything ("the fine print"). Our goal is to assist you any way possible, so if you have any questions or doubts just give us a call; we are more than happy to help!